“If you buy a new car, you get one with a good engine and service it regularly. My engine is made by the Master Craftsman above, and so I look after it!”æ – words of wisdom æfrom 100 year-old Ralph Black. The youthful-looking tenant of The Fed’s Moorview House Independent Living Facility recently celebrated his big birthday with a party surrounded by friends and family and, of course, a telegram from the Queen! After moving into Moorview in March 2017, Ralph quickly made himself at home in Heathlands Village becoming a regular attendee in the Activity Centre and keen member of the residents’ choir. 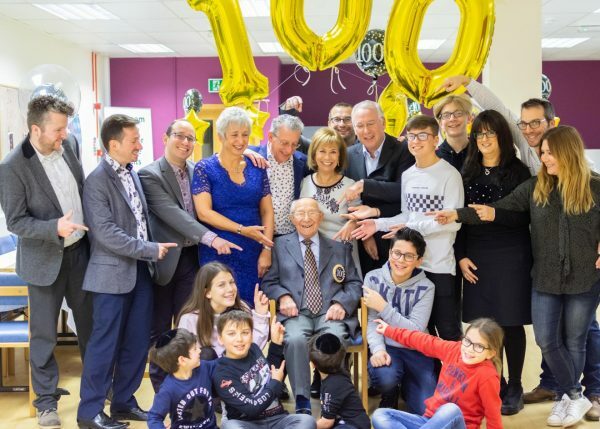 Together with daughter, Janice and her husband Sydney, son, Peter and his wife Belinda, and grandchildren and great grandchildren, Ralph welcomed almost 150 friends and relatives to the Purple Room at Heathlands Village for a celebratory afternoon. Amazingly, Ralph was not the only centenarian birthday recently celebrated at Heathlands Village. 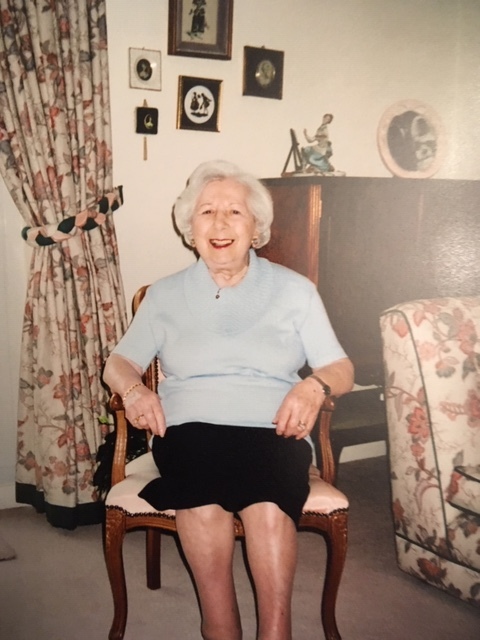 Esther Abrahams, a resident of the home’s Wolfson Unit, marked her 106th birthday on 1st November. “My aunty Esta – we all called her that – was a lovely vibrant woman in her prime,” said her niece, Liz. “Esta was born in Newcastle-upon-Tyne in 1912, one of five children, after her parents emigrated from Pskov, Russia, around 1880. She was a book-keeper and business manager who worked into her fifties,” Liz continued. “She was a very intelligent woman and a formidable bridge player! She travelled extensively throughout Europe and Asia – and twice to Canada to visit my family. Esther and Ralph were made guests of honour at a special celebratory concert to mark their birthdays on 14th November, given by the Jewish Theatre Choir. æTheir rousing repertoire of Jewish songs and show-tunes and the enthusiasm of director, Carol Jason, ensured the participation of the 50 strong audience of residents.æ Later a birthday cake was presented to the two real stars of the show. The Fed’s Activity Centre Deputy Manager, Jennifer Berger, who organised the choir’s visit and the joint celebration, said “It was simply a wonderful afternoon. 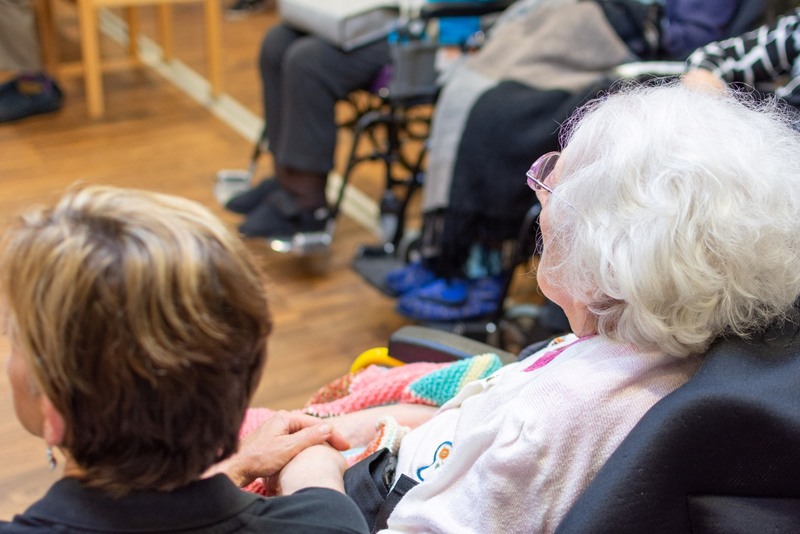 To celebrate birthdays of two such amazing residents – and have a full house celebrating and singing with them – is exactly what Heathlands Village is all about.